While waterfall and agile reside at opposite ends of the spectrum, each project is, in essence, a unique combination of the two. Thus, as ‘hybrid’ projects, the projects can be more effectively managed by leveraging tools and techniques from both waterfall and agile methodologies. This articles explores three very different types of projects, where they fall on the continuum between waterfall and agile, and which major waterfall and agile strengths they can leverage. 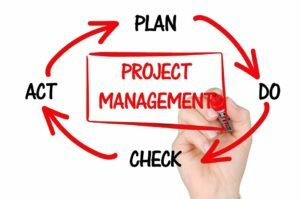 This is the second part of a series of four articles on “Hybrid Project Management", where we explore the evolution and logic behind hybrid project management, and how you can optimize performance on your hybrid project by selecting the ideal waterfall and agile techniques. This article, Part 2 in the series, “The Spectrum from Waterfall to Agile: Three Hybrid Projects", looks at some different types of projects and what makes them uniquely challenging to manage. Part 1 looks at “Hybrid Project Management: How ‘Hybrid’ Came to Be", including how project management methodologies have evolved from waterfall to agile…to a hybrid of the two. Part 3 focuses on “Five Factors to Optimize Your Hybrid Project", enabling you to identify the key characteristics that will inform your PM methodology approach. Finally, Part 4, “Leverage Waterfall and Agile Techniques on Your Hybrid Project," dives into how to choose the best of techniques to leverage on your specific project. I think that virtually all projects are hybrid – that is, they include some elements of both the waterfall and agile methodologies. Each project does, however, lean one way or the other simply because of the nature of the project. Below are descriptions of three hypothetical projects, with explanations of some of the key factors that make them lean more toward waterfall or agile. All of them have elements of both. Designing an airplane is a major undertaking, with potentially millions of piece parts, thousands of components. There is also undoubtedly a long term schedule with a time horizon of maybe five years, most likely numerous detailed sub schedules, and customers planning their own schedules and business around delivery times. Because of the physical (as opposed to virtual) nature of the product, prototyping has a high cost, and rework has an even higher cost. If something is wrong – especially if it gets to the field – problems are hard to fix because there is so much hardware and so many dependencies to account for. In addition, there are extreme risks, including safety, as well as loss of revenue on the part of the customer. Such a project will surely heavily leverage waterfall principles. However, the software development portions of the project can be done using agile methods, as long as teams are working toward milestone dates. In addition, values based leadership and team empowerment are agile concepts that can be used more broadly. While this project will tend strongly to the waterfall end of the scale, it clearly will leverage elements of agile also. This is a unique kind of project where regulatory factors will dictate some of what must be done. Otherwise, market and competitive factors will be major inputs to the project plan. For example, there are also ‘efficiency’ factors which will be major drivers to enable the company to compete and gain competitive advantage. In such areas, creative thinking, ideas, and problem solving, which can effectively benefit by leveraging agile principles, tools, and techniques, will probably have a chance to yield desired results. Customers ultimately will be counting on the deliverables, and there is little room for error in products in terms of both quality and schedule. Regulatory compliance aspects will also require careful planning and execution to the plan. Such a project will leverage some combination of waterfall and agile principles and may fall in the middle of the scale between waterfall and agile. This is likely to be a quintessential agile project. If the software is designed in a modular way – which is likely – the cost of rework will be relatively low and incremental, at least earlier in the project. For example, it is likely easy to prototype, tear down, and rebuild modules all along the way. On the other hand, there need to be schedules, and while enhancements may provide incremental improvement that can be introduced quickly into the product, they also many need to be highly controlled. And as the project progresses and the product matures, the cost of change will likely increase, requiring more careful planning and execution at that stage. Such a project will tend to leverage much more on the agile side – but will still need some waterfall approach to manage the overall deliverables. The point is that each project is unique and can leverage elements of both waterfall and agile. Do you have a command of both agile and waterfall tools and techniques, and have you and your team identified the elements of each that can help on your project? This series of four articles looks at different facets of Hybrid Project Management. These aspects include how “hybrid" came to be, spectrum from waterfall to agile, five factors to optimize your hybrid project, and leverage on both waterfall and agile techniques.